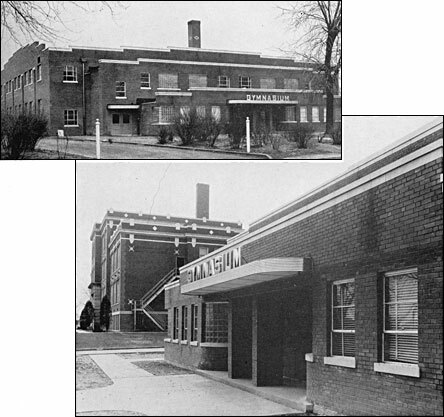 During the 1940-41 season, a new gym was was built to the north of the main school building and the shop wing in the 1200 block of Vandalia Street. 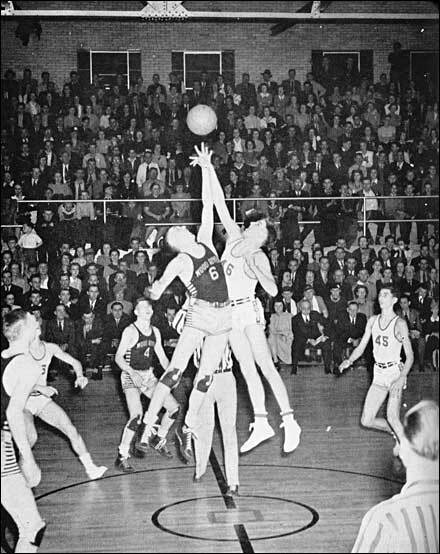 First used on February 27, 1941, the Kahoks defeated Vandalia, 43-38, in their new home. The Kahoks would call this location home for the next 30 seasons until the completion of the new gym at the Greenwood Campus. This location became the Vandalia Campus and served freshman and some sophomore students. 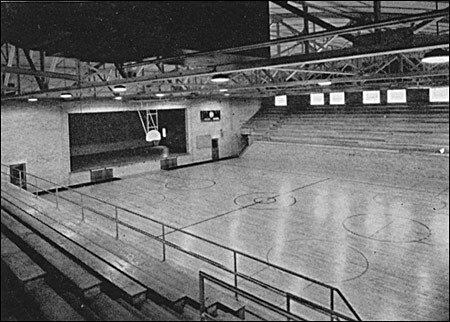 The last game played in this venue was February 19, 1971; the Kahoks defeated Wood River, 95-62. 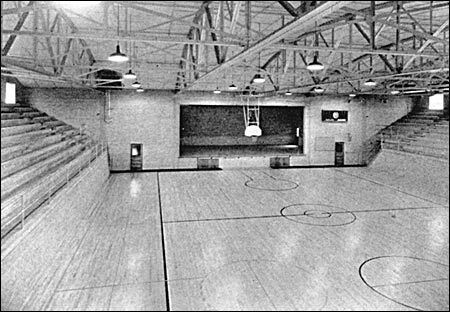 This gym would continue to be used for boys' freshman/sophomore basketball and girls' sports even after the high school was consolidated to the Greenwood Campus. 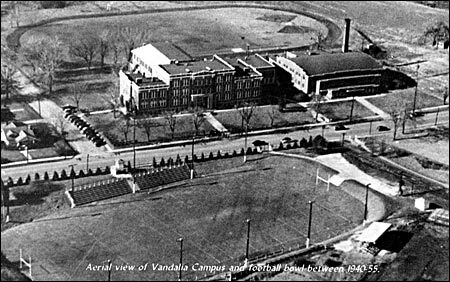 The Vandalia Campus was sold to a local religious organization in 1984. 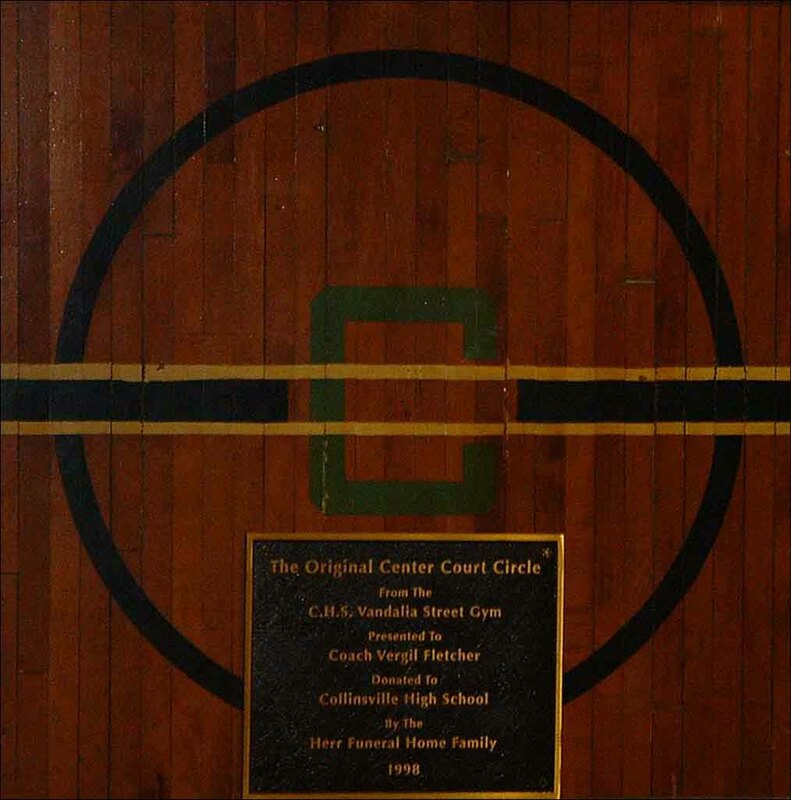 Center court circle from the Vandalia St. gym. 1941 — Interior view looking west. 1941 — Interior view looking east. 1941 — Interior view looking northwest. 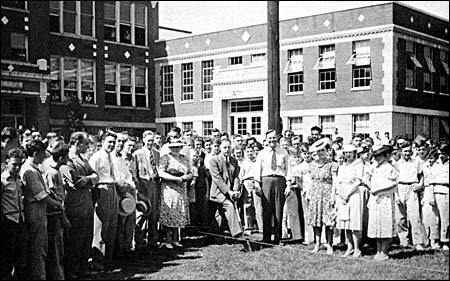 9/5/1940 — Ground breaking ceremony. Aerial view of the high school campus. 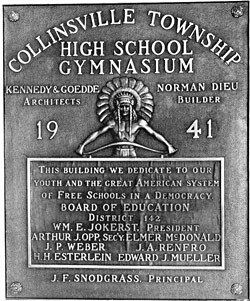 Note that the caption states that this photo was taken between 1940 and 1955; however, the photos from 1941 at the top of this page show chimneys on both the gym and the school building. 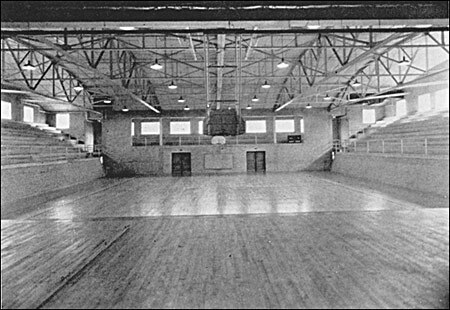 This photo includes only a chimney on the gym, dating this photo to sometime after the 1941 school year.